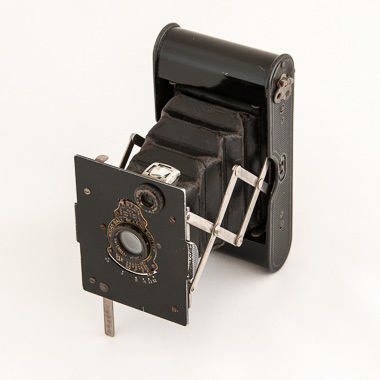 Vest Pocket Kodak cameras were manufactured between 1912 and 1926. Many were carried into battle during the First World War, becoming known as the 'Soldier's Camera' due to their popularity with the troops. The camera pictured dates from 1917 and another I have dates from 1914. In 2015 I plan to visit the Somme and Ypres battlefields with both cameras to photograph the landscape ... it may well be a return visit for the Kodaks. I'm intending to make platinum/palladium prints from the results. All proceeds from any print sales will be donated to charity. A Vest Pocket Kodak was used by George Mallory and Andrew Irvine during 1924. The camera has never been found but if located it may provide evidence of them reaching the summit of Mount Everest. Frank Hurley also used a Vest Pocket Kodak during Ernest Shackleton's Trans-Antarctic Expedition of 1914-1917.